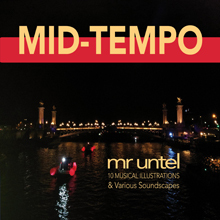 Focused on medium tempo themes, this new release will fit a wide variety of situations. Sometimes light and dancing, at others dramatic and moving, it is a collection created specifically for the underscore that will be suitable for Cinema, Documentary or Reportage. Building on its federative rhythms, this selection wide range covers traditional sounds and more synthetic modern ones. A solution for many synchronization situations. 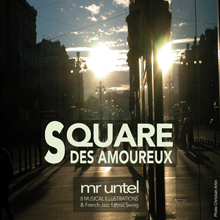 Square des Amoureux is a rendezvous in the past. A sonorous visit to the romantic Paris of the last century, especially in the mid-30s. The sound is Swing, Jazzy and Gypsy just like in the suburbs, Montmartre, Clignancourt or St Germain des Prés. The tempo is fast, the atmosphere is joyful, resolutely optimistic and suitable for the illustration of many sequences in Cinema or Documentaries.